All day dining restaurant at the Jen. This restaurant aims to please with a smorgasbord of cuisines, from local to international. A la carte options include Hainanese chicken rice ($15), grilled Norwegian salmon ($20), and traditional Singapore laksa ($16). 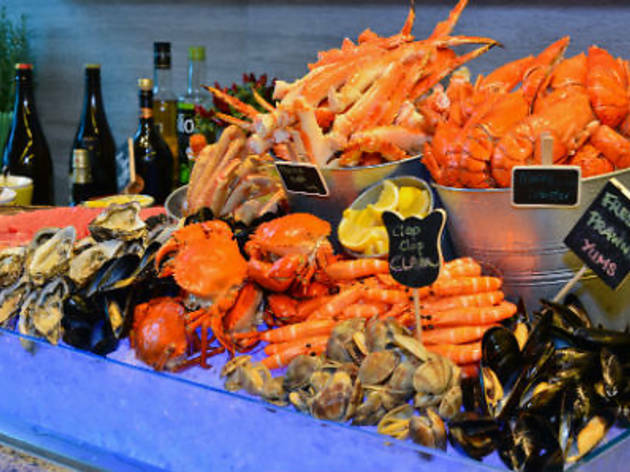 Makan offers a buffet every day, also with a rotating cast of cuisines. 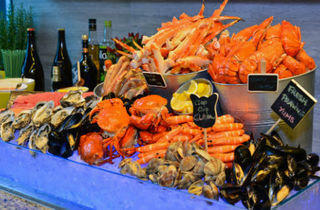 Come on Friday and Saturday for a seafood bonanza, or Sunday to Thursday for an international spread. Buffet prices start at $30 and peak at $55.